For Bayonetta 1, we signed a contract with Sega and received funds from them, then we proposed a design for the game and entered production. However, after that, one of Sega's trading partners ended up making a port for PS3, at Sega's behest. More recently, they also decided that a Steam version should be developed, which was released last year. When we started making Bayonetta 2, we initially received funds from Sega to develop the game for multiple platforms, but the project was halted due to circumstances at Sega. As such, the rights belong to Sega and Nintendo. As for Bayonetta 3, it was decided from the start that the game was going to be developed using Nintendo's funding. Game development is a business. Each company has its own circumstances and strategies. But I believe that every single person involved is dedicated to delivering the best possible experience. 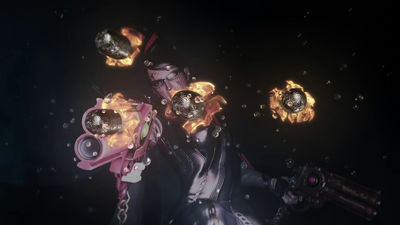 I cannot express how happy I am that we get to make Bayonetta 3, and we intend to do everything within our power to make it as good as it can be.